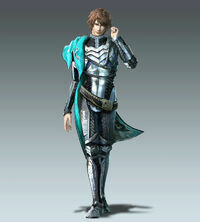 Zhong Hui often appears as an officer for during the twilight battles for the kingdoms such as Wu Zhang Plains and He Fei Castle. He used to serve under Sima Yi in earlier incarnations, but he often leads his own unit in newer titles. In Dynasty Warriors 5, he and Deng Ai are in charge of the catapults for Wei at Wu Zhang Plains. In the Wei version of the stage, Zhong Hui is the one that is needed to set up the catapults. However, in the Shu version of the stage, Deng Ai is the one that sets up the catapults as Zhong Hui instead arrives as reinforcements at the northeastern edge of the map and works his way down.